Dogs are highly social animals. They live in communal groups, they enjoy and depend on the company of others for comfort and security, and they form strong emotional bonds. These strong emotional bonds benefit dogs as well as us humans when in a relationship together. Unfortunately, it is these strong emotional bonds that can cause minor to great distress with dogs are separated from their humans. Separation anxiety is not only one of the most prevalent, but also one of the most frustrating behavior-related problems seen in companion dogs. Statistically, 80% of dogs suffering from separation anxiety will recover, leaving 20% that do not. These dogs need fine-tuned management for the duration of their life.What is Separation Anxiety? Separation Anxiety is a panic attack. Dogs suffering from separation anxiety are in mild to profound distress when left alone. “Left Alone” can differ from dog to dog. Some dogs are fine as long as there is a person, any person present. These dogs just need a person present for comfort. Some dogs are fine as long as another dog, cat, bird, or other “comfort” animal is present. These dogs just need another living creature to “buddy up to”. 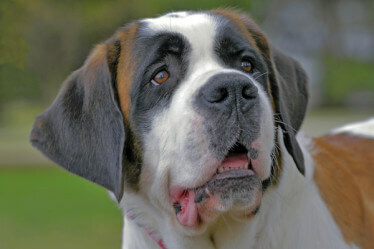 Some dogs become distressed if a “Key” person leaves. 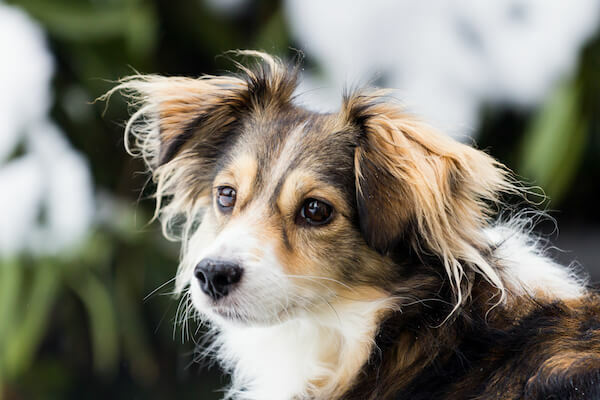 These dogs form a strong attachment to a particular person and become distressed in that person’s absence, even if other members of the family are home. 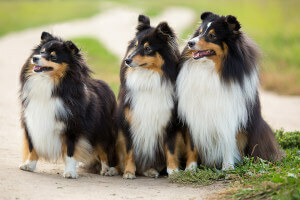 Some dogs become distressed if they are separated from their people within the same house, whether by kenneling, puppy gate or just not in the same room. Their inability to get to their person causes anxiety and distress. What Separation Anxiety in not. Some dogs chew, steal inappropriate items, eliminate in the house and bark for reasons other than separation anxiety. Some dogs are just having a great time looking for something to occupy their day, stealing and chewing inappropriate items. Some dogs are just not properly house trained and eliminate in the house when not supervised. Other dogs bark at sudden noises or pedestrian passing the home they can see through windows but are not in distress of being left alone. Taking a video of your dog when you are away is a great way to determine whether your dog suffers from separation anxiety or not. 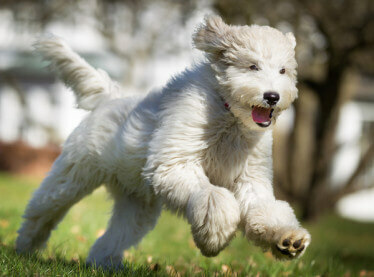 Is your dog active and having fun, or is he/she anxious and in a state of distress? Dogs who are rehomed, spend time in rescue or shelters, or have spent time lost or living on the street, are more prone to developing separation anxiety. This lack of stability can cause a loss of trust and security. Singleton pups can be more prone to separation anxiety. The lack of siblings and the experiences gained that help the brain develop properly can contribute to separation anxiety. Genetics may have a factor in separation anxiety. Scientific studies give evidence that some dogs are just more prone to anxiety in general, and separation anxiety specific. Changes in the family dynamic, such as someone moving out (a child going off to college, a divorce …), or the death of a companion dog can cause anxiety to a family dog, and separation anxiety in specific. A sudden or dramatic change in schedule can also have an anxiety-provoking affect. 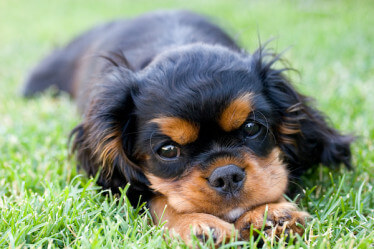 Breeder practices and early puppyhood experiences can cause puppies to develop anxiety concerns that may develop into separation anxiety. A scary experience when left alone can bring on sudden separation anxiety. Experiences like a severe storm, unusual and disturbing sounds, a break in by an intruder. Newly adopted dogs may display a transitional separation anxiety. The upheaval from one home to another may bring on a short and generally minor bout of anxiety. 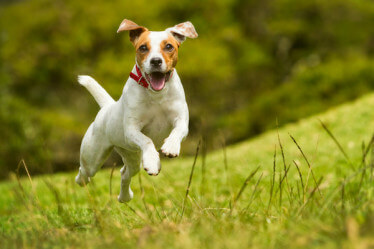 Dogs suffering from transitional separation anxiety generally recover and settle in within a week or two. What are the signs of Separation Anxiety? Signs, or behaviors dogs’ exhibit, can vary from dog to dog, and from mild to extreme in individual cases of separation anxiety. 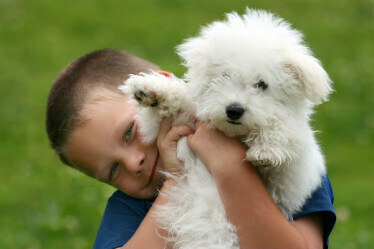 Why does Separation Anxiety not get better without popper training and management? When Dogs who suffer from separation anxiety are left alone or are in anticipatory fear of being left alone, stress-inducing chemicals are released into the body. 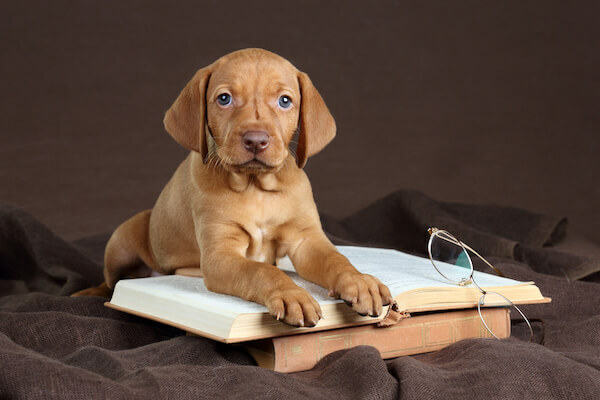 The buildup of continual “abandonment” makes these dogs hyper-attentive to the owners leaving and/or any signs that suggest the owners leaving, such as putting on shoes or a coat, picking up keys or a purse or briefcase. Dogs start to back chain the events of leaving. They may at first become anxious just as their owner is leaving the door, but soon learn that keys are picked up just before leaving the door, that a coat is put on just before keys are grabbed, and so on and so on until just getting up and showering sets off the anxiety response. 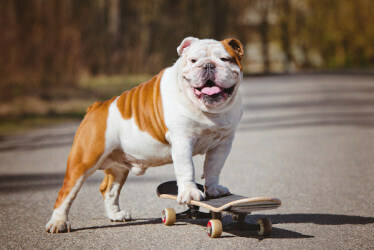 Many dogs are in a continual cycle of stress as they are left alone day after day, and possibly again in the evening as owners have other obligations. How NOT to treat separation anxiety. Bark or E-collars are should never be used. Remember dogs suffering from separation anxiety are panicked when left alone. They bark or otherwise vocalize when left alone to try to reunite with their people. The punishment of being shocked, as well as the continuing threat of being shocked only serves to increase anxiety and distress when being left alone. Do not putting a dog in a kennel to control destructive behaviors if they are not completely comfortable in it, and comfortable in it when alone. They may injure themselves or even die in an attempt to break out. Leaving special bones/toys when leaving generally will not help as the dog soon learns to associate the bones/toys with the anxiety of being alone. Other than in the very lowest levels of separation anxiety dogs suffering from separation anxiety will not play with toys are chew on bones when left alone. 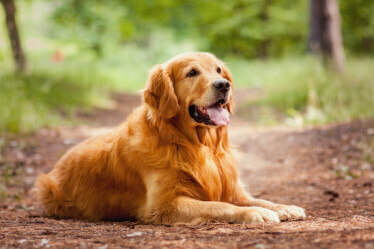 Scolding a dog who has caused destruction or disturbance when left alone does not help. It only creates further anxiety to being left alone and to the homecoming of his/her people. How Separation Anxiety is properly treated. Each situation and dog should be addressed on an individual and unique basis. As different dogs have different needs in training there is not one “cookie cutter” answer that fits all cases. There is no magic cure, or overnight success when treating separation anxiety. Helping dogs recover from separation anxiety takes time, commitment, and patience. In general, these are the steps that need to be addressed in treating Separation Anxiety. Management is key to treating separation anxiety. First and foremost dogs suffering from separation anxiety cannot be left alone. As a proper training program is established Dogs suffering from separation anxiety should never be left alone longer than they are currently at complete ease with. This is a systematic process. 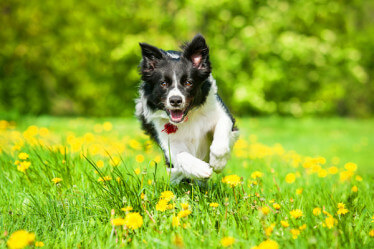 Leaving a dog for any longer than their current comfort level allows only serves to increase anxiety and build distrust in the training already done. A program of Counter Conditioning & Systematic Desensitization should be established. Counter conditioning is a process of training that works to change an associated emotional reaction to a specific event from one state, such as anxiety to another, such as relaxation. This process is used in conjunction with Systematic Desensitization, which means that in training the dog is gradually and systematically exposed to the situation/event that causes the anxiety, but is always kept under threshold so as not to induce the anxiety response. Criteria are only increased as an individual dog is comfortable and ready, and then, only in small enough increments as to prevent anxiety. This is a very graduating process that takes time, commitment and patience. Support and guidance from a qualified professional. The reality is that recovering from separation anxiety is a lot of work. I have already stated that it takes time, commitment, and patience. It also takes the detailed guidance from a knowledgeable and experienced professional. A good professional will be able to offer guidance and support on an ongoing basis until the anxiety concerns are recovered. To discuss your dog’s personal situation and individual training needs please contact me today.